These are the questions that came to the forefront in our endeavor to develop market-ready talent with advanced technical skills and people skills —the aim of our new MBA program. Words are powerful. Semantics are about meaning, and meaning is without question the most important aspect of any communication. Soft- and hard-skill terminology was coined in 1972 by a research team in the U.S. Army. The team observed that a platoonʼs success resided not only in having people with strong machine operation skills, but also in having individuals who could manage and supervise teams, along with other skills. So they defined soft skills as those that involve actions affecting primarily people and paper, such as inspecting troops, supervising office personnel, conducting studies, preparing maintenance and efficiency reports, and designing bridge structures. In contrast, hard skills were defined as those that require one to work with machines. Many MBA programs work to provide curricula that integrate both hard and soft skills across various courses, such as finance, accounting, economics, and operations (for hard skills) and communications, psychology, organizational behavior, and leadership (for soft skills). But as far as integrating these two areas of study goes, students are often left on their own. In fact, many industry professionals believe soft skills can only be acquired over time through practice, hands-on experience, mentorship, professional courses, and experimentation. In the classroom, students may learn the theory of soft skills but not the practice, so they are often unprepared for what the workplace expects of them. In an HR Magazine article titled “Can You Teach Leaders Soft Skills?” Aarti Bhasin, employer relations manager at the Association of MBAs, says, “Qualities such as accountability, collaboration, decisiveness, innovation, creativity, cultural awareness, a global mindset, responsible management, emotional and moral intelligence, empathy and mindfulness are hard to teach—but these are the qualities employers need and want in a fastchanging complex environment.” So how can business schools re-situate these admittedly hard-to-teach skills for better workforce preparation? At ASB, smart skills are those that require people to respond to situations and challenges with intelligence and diplomacy. They include, among others, creative and critical thinking, emotional maturity, cognitive readiness, social intelligence, adaptability, ethical and cultural awareness, discipline, a global mindset, and empathy. Our goal is to teach these skills in practice as well as in theory. Sharp skills comprise technical capabilities such as data analytics, optimization, risk assessment, system dynamics, and machine learning, for example. Again, we want to teach both practical and theoretical applications of these skills. Further, we want our students to be able to blend smart and sharp skills so they are able to be effective in the organizations where they work. The launch of ASB afforded us the luxury of designing an MBA curriculum on a blank sheet of paper. We wanted to develop and deliver transformative, principled, market-ready leaders who could hit the ground running immediately after graduation. To do this, we designed the curriculum with core action-learning courses that expose every MBA candidate to four teambased projects, one each semester, plus an individual project in the summer. Each term, student teams spend about four weeks on site in companies across Southeast Asia. One term a student may be in Malaysia with their first team, the next term in Myanmar with a completely different team, the third term in Thailand, and so on. In between their first and second year, students are in summer-long individual projects in yet another company and country —if they so choose. This set of experiences exposes our students to highly diverse cultures, various political and strategic perspectives, and exciting opportunities to test their growing smart and sharp skills in various industries, companies, and positions before graduation. Team members may find themselves in a remote corner of the Philippines, for example, formulating an integer programming model for scheduling a food processing factory, and teaching the plant staff how to use the model they developed. To do this, they must be both smart and sharp. The demands on business leaders only seem to have increased over recent decades. However, our concepts have evolved to address these challenges, as have our vocabularies. We believe that the latest generation of management students and practitioners need a full suite of smart skills to navigate the complex organizations and ecosystems that drive todayʼs economy, as well as sharp faculties for cutting-edge analysis of complex systems. Our experience, admittedly early in the life cycle of our new school, is that multiple action-learning projects that give students repeated iterations between learning in the classroom and directly facing the complex challenges in modern organizations can help enrich the toolkits of todayʼs management students. 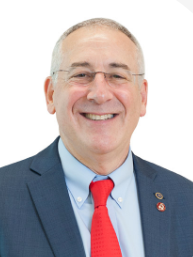 Charles Fine is the Chrysler LGO Professor at MIT Sloan and the founding President and Dean of the Asia School of Business in Kuala Lumpur, a collaboration between the MIT Sloan School and Bank Negara Malaysia. 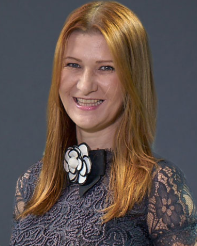 Loredana Padurean is the Associate Dean at the all new Asia School of Business, a collaboration between the Central Bank of Malaysia and MIT Sloan School of Management, and an International Faculty Fellow at MIT. This entry was posted in Uncategorized and tagged Asia School of Business, business skills, Charles Fine, Loredana Padurean, MIT Sloan by mitsloanexperts. Bookmark the permalink.